CoreAchieve is a learning management and content distribution platform that promises simplified, predictable SaaS pricing with no per user costs. Designed to meet the needs of corporate, member and constituent eLearning, the software allows organizations and trainers to create, develop and manage single or multi-part courses. Use files, video and audio in a variety of popular formats, with multimedia delivery handled via a built-in player. Digital asset management enables uploaded, centralized course content to be stored, searched and maintained, while quizzes and other testing components can also be incorporated. Gamification features augment the progress monitoring process by motivating participant engagement with points, rewards and leaderboards. An administrator interface makes managing educational content more convenient, with quick search functionality for finding courses and course playlists etc. CoreAchieve is responsive for access across every web-enabled platform and device, while API-based integration support adds connectivity with existing AMS, CRM and other enterprise systems. Built-in eCommerce opens the door for monetizing and selling training courses online, with communications capabilities including news lists and comment feedback streams for inviting student / employee conversations. Reporting and analytics tools provide data visualizations and dashboard-based learning insights, with custom graph building available and report download for sharing. There are currently no reviews of CoreAchieve. A demo and full pricing information can be requested via the CoreAchieve website. • CoreAchieve is a cloud-based learning management and content distribution SaaS geared towards delivering responsive member, constituent and corporate eLearning alongside the management of digital assets. • Course generation functionality includes course editing and quiz creation, file upload in multiple formats, video and audio playback support, playlist assembly, plus user / group management and assignment options. • Gamification features are incorporated to make learning enjoyable and promote course engagement, with the ability for training participants to earn points and rewards, while gauging overall progress via leaderboards. • Built-in eCommerce capabilities are provided for those wanting to sell training courses online, while integration options facilitate connectivity with existing third party AMS, CRM and other Enterprise systems. • Reporting and analytics tools offer dashboard-based insights on student progress, plus graph building and the ability to upload and download reports for sharing among stakeholders. Below are some frequently asked questions for CoreAchieve. Q. 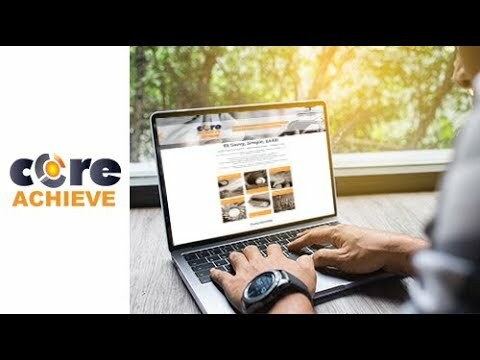 What type of pricing plans does CoreAchieve offer? Q. Who are the typical users of CoreAchieve? Q. What languages does CoreAchieve support? Q. Does CoreAchieve support mobile devices? Q. Does CoreAchieve offer an API? Yes, CoreAchieve has an API available for use. Q. What other apps does CoreAchieve integrate with? Q. What level of support does CoreAchieve offer?